Rosario's Reading Journal: Big changes! Not in the blog, but in my life. After just over 10 years in the UK, the time has come for a new adventure. 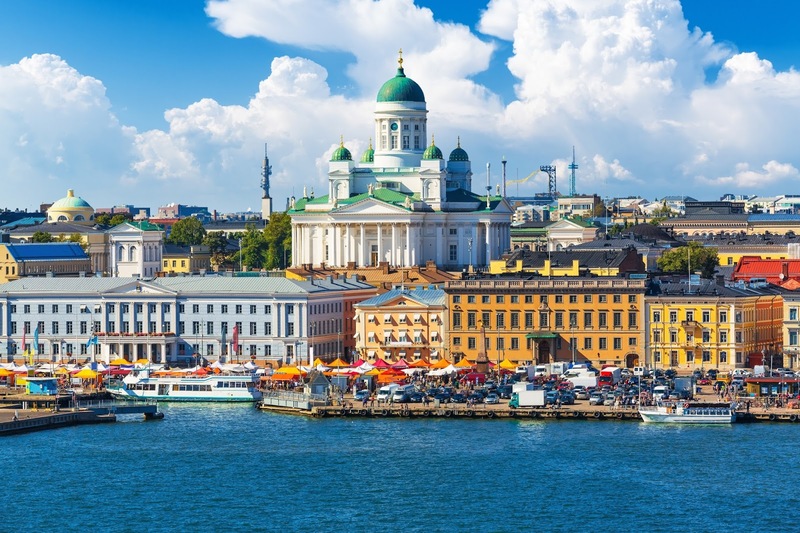 At the end of January I will be moving to Helsinki (yes, in the middle of winter!) to start a new job. It's all a little bit scary and the amount of stuff to be done before I leave is kind of overwhelming, but mostly I'm really excited and can't wait to see what the future will bring (in the short term, probably a fair bit of snow, I imagine). So the blog will probably continue to be a bit of a quiet zone for the next few months, but I absolutely intend to keep it going once I get settled in. I found it really nice to have that continuity 10 years ago, when I moved from Uruguay to the UK, and I expect it will also be a help this time. So wish me luck, and any tips from those of you used to colder climates would be much appreciated! Good luck with your move. That is exciting! The only tip I have is to take at least one lamp with a 'natural light' bulb and/or a 'grow light'. Wow! Congratulations! I hear Finland is such a wonderful place to live. Good luck and have fun in Finland! Thank you all very much for your good wishes! Barb, are those the lamps that are supposed to help with Seasonal Affective Disorder? I've been looking at some on amazon and definitely plan to take one along! Hi Rosario what an adventure! I think you're very brave to have first moved from Uruguay to the UK and now Helsinki, and I hope all good things come to you there. I know nothing of Finland other than from the tv series Bordertown -- the scenery is spectacular and they seem to have (much needed, I'm sure) great knitwear. As a Canadian I've learned that wearing a big scarf in winter makes all the difference for keeping toasty warm. Best of luck with the move and the accompanying career challenges. I'll look forward to more blog posts when you've settled. And I'm selfishly glad you're keeping the blog going. Does this mean you don't get home for Christmas this year? Re: the lamps. Yes, some of them are marketed for SAD relief. I have one as a floor lamp for reading that has saved my eyes a lot of strain. Well worth the price. Barb: Fab, I'll invest in that, then. The movers are not coming to pick up my stuff until late January, so plenty of time to pick one I like! Best wishes for this new adventure in your life. I've never been to Finland so I have no tip for you. Just good luck! Buena suerte! Life is an adventure, and you are definitely living it to the utmost. I've no particular advice about Finland, other than hats (be sure they cover your ears), scarves, and gloves are required. Will you have to learn Finnish? It is a unique language and not related to either Spanish or English. But I think if you do learn Finnish you will definitely get bragging rights for being trilingual. wow, I remember when you moved to the UK! Good luck in your new adventure!